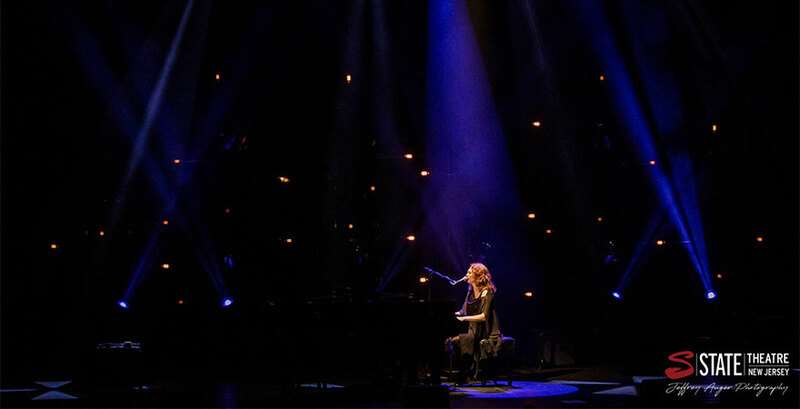 On Monday, November 13 Regina Spektor took the stage in her State Theatre debut and from the sound of it, the audience believed it was long overdue. She walked onto the stage by herself, dressed comfortably in all black, and the audience started cheering the moment they saw her. She sat down at the piano and with a small smile and a wave she basically brought the house down before even playing a note. Going into the concert I only knew a few of Spektor’s songs but I was clearly in the minority in the audience. She decided to go back and play some of her older songs and the audience cheered after the first few chord most of the time. We have a decent sized stage in our 1,800 seat venue and Spektor is a bit on the petite side but she was definitely in command of everything and everyone. It was amazing to hear her say “hi” in a cute, almost mousy voice, while sipping her tea and then breaking into some powerhouse vocals. She certainly stands apart from most other artists today not only in her writing style but in her raw musical talent. The audience was not shy in yelling out suggestions and she was very cute in responding “I have a list. I don’t always stick to it but I try to. And that’s what matters.” She was incredibly down to Earth as she switched from playing the grand piano to her keyboard; simultaneously maintaining complicating rhythmic stomping and drumming on a chair all the while still singing her songs. She shared a story about how when she was starting out in bars she always used to walk around hitting things but chairs were her favorite. She was always looking for the “Stradivarius of Chairs,” contemplating stealing them but ultimately deciding not to. Part way through the evening Spektor informed us that she was fighting a bad case of Bronchitis and I am sure I am not the only one who was surprised based on how amazing she sounded. She told the audience an amusing anecdotal story about steroids and after walking around speaking for a minute or so just launched right into some amazing numbers on guitar and a capella. The range of the talent across the evening was incredible. Spektor’s songwriting style is fairly unique, a number of her songs just tell stories without the usual repeating chorus and she is not afraid to end her songs unexpectedly. Her songs ranged from the serious to the mundane, with her singing in multiple languages over the course of the evening. 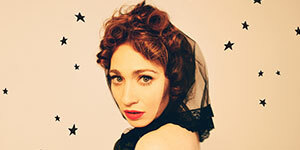 So I may not have gone into the concert a super Regina Spektor fan (unlike most of the audience) but hers will definitely be a concert I remember based on her sheer raw talent.